If you're a fan of All Time Low & Dashboard Confessional then you'd be crazy to miss out on this amazing event! Catch all of this and more on Tuesday 21st August 2018 at Stage AE! Tickets are on sale NOW! One of the biggest shows this month! Be sure to grab your seat today. The American rockers All Time Low have been rocking the stages across North America and the world since their debut all the way back in 2003. Now 15 years later the talented group are still touring and making their mark, with even bigger and better shows than ever before. 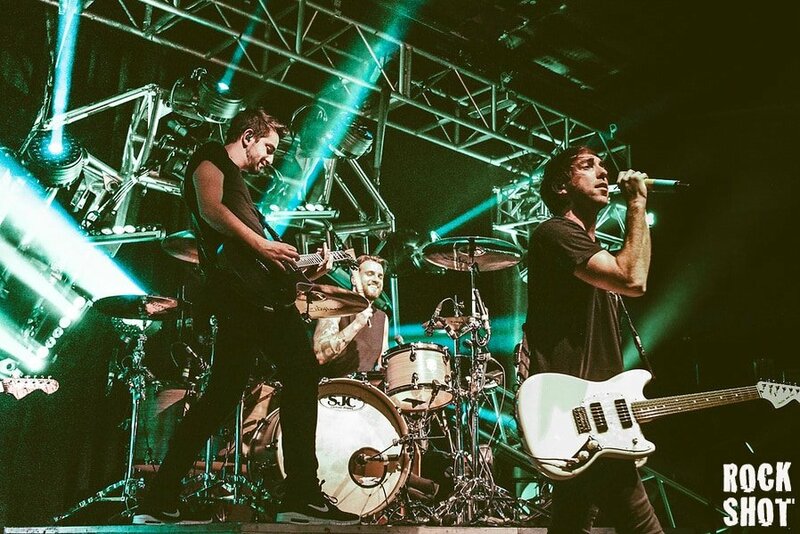 The guys in All Time Low are of course musicians; lead vocalist and rhythm guitarist Alex Gaskarth, lead guitarist and backing vocalist Jack Barakat, bassist and backing vocalist Zack Merrick and drummer Rian Dawson. From the very start of their career they have churned out major albums, giving their fans the chance to really feel involved and up to date with the band, All Time Low have had to this day six records that have changed and developed on their sound such as; The Party Scene (2005), So Wrong, It's Right (2007), Nothing Personal (2009), Dirty Work (2011), Don't Panic (2012), Future Hearts (2015) and Last Young Renegade (2017). Along with two live albums surrounding the "Past, Present and Future Hearts." Just last year they released another album and celebrated it's release by a massive tour and this year it continues so whatever you do don't miss out on the chance to be there!! "Stage banter and fashion choices of 2008 preceding opening track ‘This Is How We Do’, which kicks off the night with high energy drums and chants of “boys raise your glasses, girls shake those…” It’s a fun start to the evening, and the simplicity of the staging further adds to the nostalgia of the set, allowing older fans to relive that time and giving younger fans a glimpse of the bands early years."